two posts in the same week. he is one of the longest surviving characters in a wildly popular/widely hated animated webcomic Homestuck. last year i did a pretty decent cosplay of this lil fella's nemesis and my spirit animal, Kanaya. 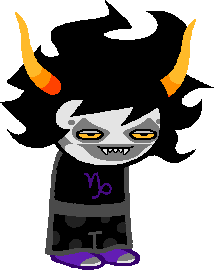 but Gamzee speaks to me, because he is the polar opposite to everything Kanaya is. over the course of the comic he has both amused and infuriated me. it is because of these feels that i want to cosplay him. the process is coming along nicely. i got a killer wig. just needs a lil body and styling to get that manical look. looking into a different, light weight material for the horns. they are quite long, and the instamorph i used for the kanaya horns would be too heavy. i've heard much about Worbla. many of the cosplayers i admire use it frequently. i've seen amazing entire suits of armor made out of this stuff, so it has to be light. i'm going to buy a sample and see how it holds up. i'm hoping to attach the horns with snaps this time, as opposed to the amateurish headband like last year. 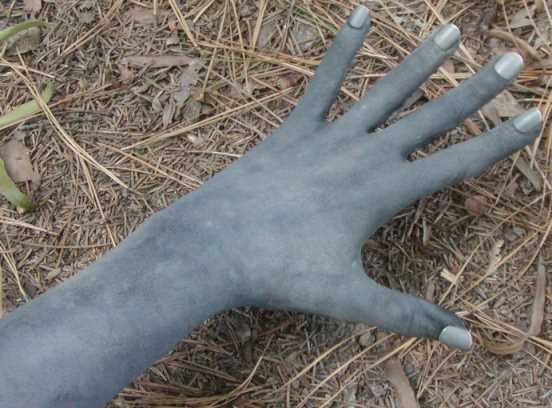 i've also purchased some grey facepaint by Snazaroo that is supposed to be top notch stuff. i've been practicing with makeup a lot recently to get a good face down for when i have to dive into the grey goop again. so far, not so hot. they are gloves, but they are also so ugly they distract from the illusion. once i get the face paint, i'll paint a pair of my preliminary failures to match see if i can get a little more realism. for the pants, i'm going back to my fabulous friends at Spoonflower. the design looks good, but i had to go with a more expensive material than the one i used for my Nao cosplay. it was stiff, wrinkled crazy easy and felt like something you make dress shirts out of. the gamzee pants should be loose and flowy, so i went with the more expensive a cotton knit and found a pattern for pajama pants on BurdaStyle. the shoes will be easy, i have a pair of black sneakers that i will just paint purple and grey. the pièce de résistance will be gamzee's weapon of choice. and that's just one cosplay this year. also on my highly ambitious list is Nora from RWBY, a nine-tailed fox and a "harajuku-ish" stylized alpaca. Not all of these will get done this year. but at long as i have three outfits per con, i feel good taking my time designing and working on others. i. love. cosplay. i've only been doing it two years, but i love the process, the creativity, the learning curve. it's all worth it to be able to strut through a convention and get at least ONE compliment on all the work. that's not why i do it, for any kind of recognition. i do it because it's fun to dress up and be someone else for just a little while. i've lived a great deal of my life in fantasy, which is why i write. living out a character every once in a while is just gravy.